NASA is extending an opportunity to college and university teams to propose small spacecraft technology projects that they can conduct in collaboration with NASA researchers. This is the second time NASA has issued this type of call after the highly successful efforts that emerged from the first call in 2013. 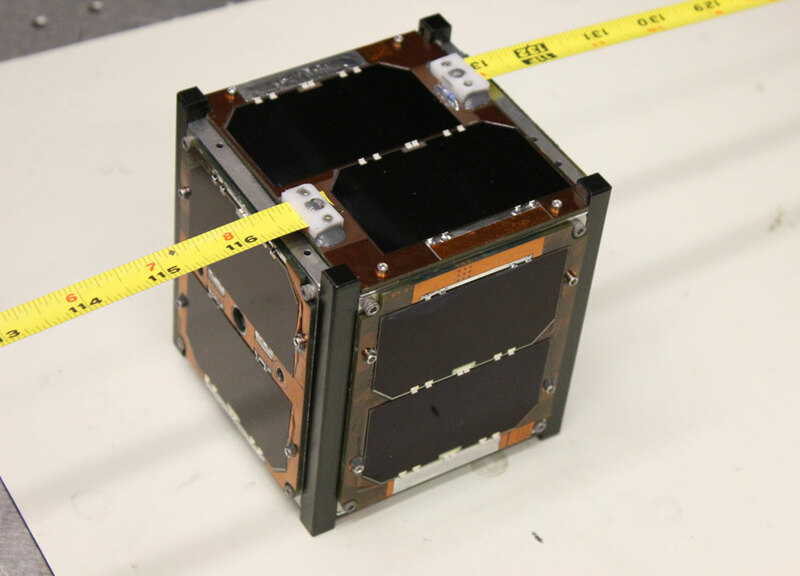 The Small Spacecraft Technology Program is issuing the Smallsat Technology Partnerships solicitation as an appendix to the Space Technology Mission Directorate's NASA Research Announcement for 2015. This is opportunity will engage university students and graduate researchers in advancing technology of value to NASA and the nation and help strengthen our high-tech workforce. Proposals are due by June 5, 2015. "There is a vibrant small spacecraft research community within America's universities and NASA wants to strengthen its connection to that community," said Andrew Petro, program executive for the Small Spacecraft Technology Program. "The universities will benefit from the deep experience that NASA has in space research and technology while NASA will benefit from fresh ideas and cost-conscious innovation at the schools." NASA expects to select about eight projects competitively from among those proposed by university teams, which can form proposal partnerships with researchers from any of NASA's ten field centers. Awards for each project will include up to $100,000 to each university team per year. In addition, NASA will fund the time for one NASA employee to work with each selected team. Project funding is for one year with the potential to continue for a second year. Proposed projects could involve laboratory work to advance a particular spacecraft technology or the development of a new smallsat. NASA will be accepting proposals in four topic areas: 1) precise attitude control and pointing systems for cubesats, 2) power generation, energy storage and thermal management systems for small spacecraft, 3) simple low-cost deorbit systems and 4) communications and tracking systems and networks. The previous Smallsat Technology Partnerships selection in August 2013 resulted in 13 projects across many technical disciplines; 11 of those projects are continuing in their second year. Two of the projects were recently selected for NASA-sponsored rides into orbit. They are a team from Montana State University working with NASA's Goddard Space Flight Center in Greenbelt, Maryland, on a radiation-tolerant processor for smallsats; and a team from California State University, Northridge, working with NASA's Jet Propulsion Laboratory in Pasadena, California, on a smallsat demonstration of an advanced energy storage system.